I love my new shoes, they are not for everyone but I love them. They have a small chunky heel and are the perfect coral shade. They are bright but they are subtle (sort of). I am very pale but these shoes add a bit of colour to my skin. 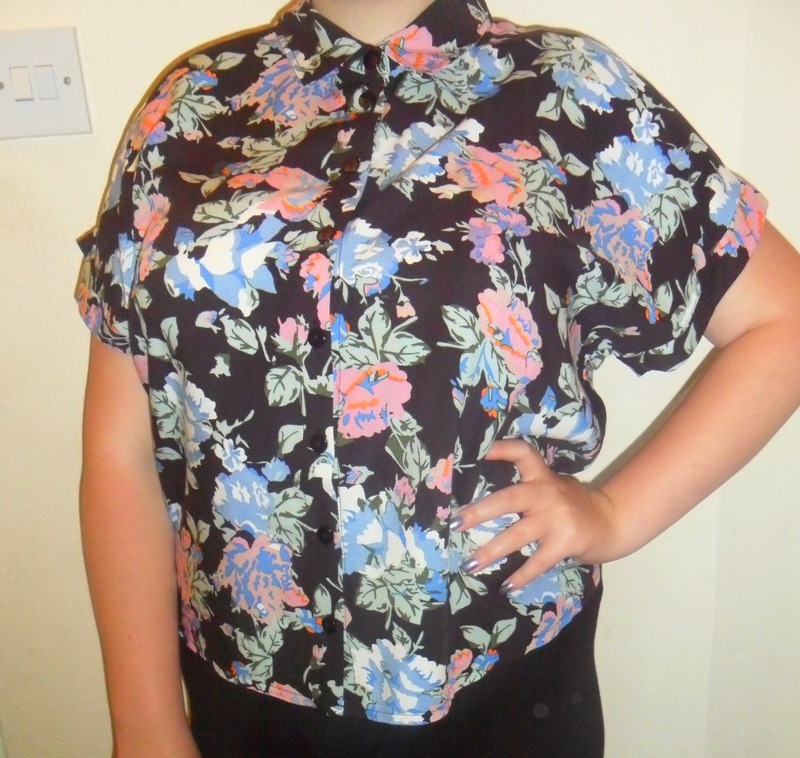 I love this shirt, I got a size bigger so it's not cropped because I don't have a belly for it :), It's like hip height. I like it when it is buttoned right to the top, with a chunky neclace. I usually pair this with leggings and my jelly sandals. This outfit reminds me of Velvetgh0st's outfits. I love her and her style. 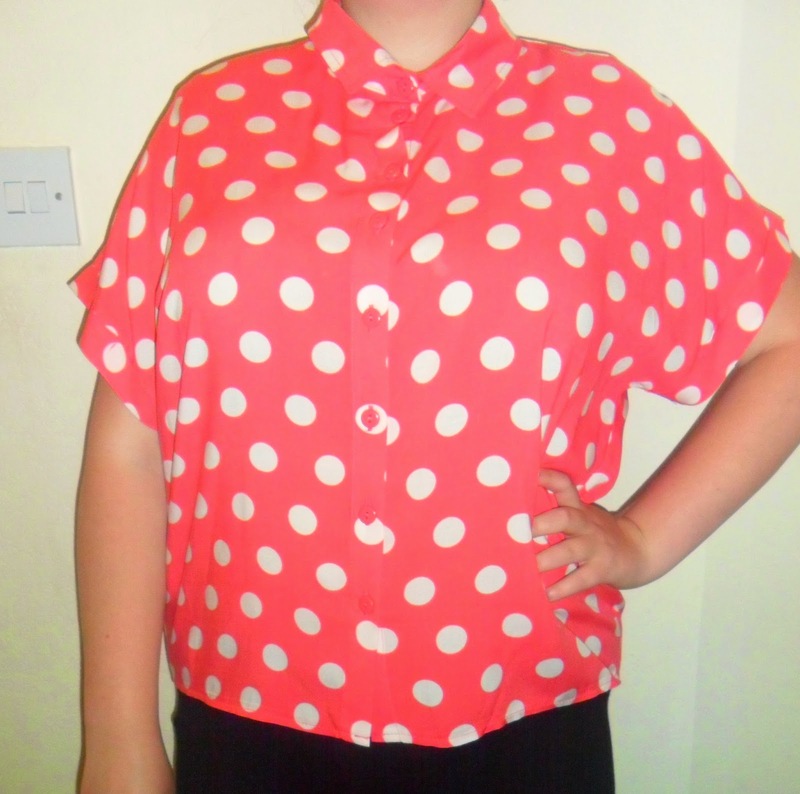 This is very similar to my poka-dot one but in more of a subtle print. On the hanger it does look like a old woman's curtains but it's nice on. I was uming and awing whether to get this because well I just wasn't loving it. But my mum forced me to get it because she said it looked stunning. So I was like chuck it in the basket :) (It's hard to impress my mum). This is very delicate and will look great with jean's and a plain top. The colours more of a peachy coral colour. 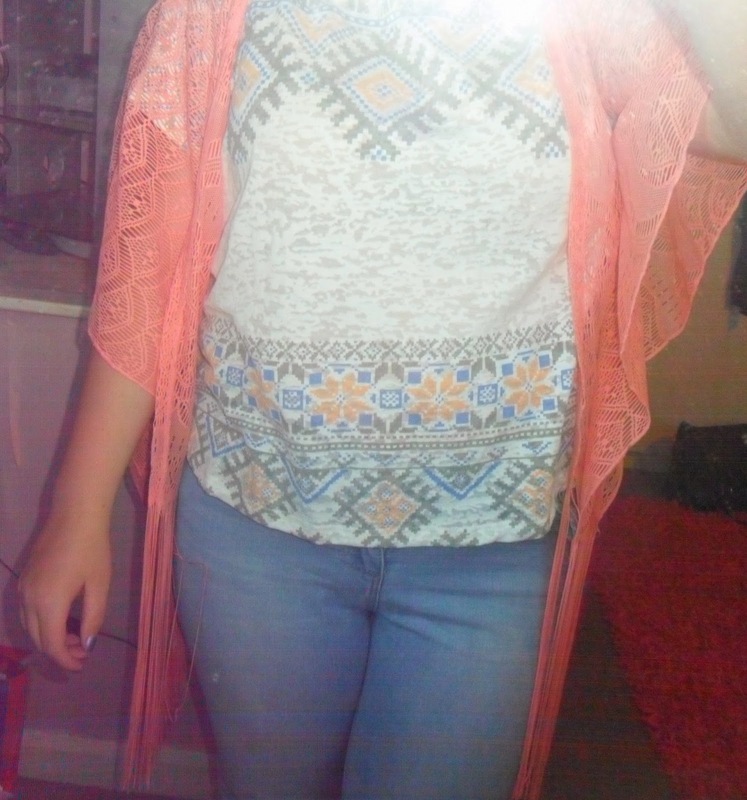 I am actually scared of wearing this because it's so thin lace I don't want to pull something then it being ruined. I'll just have to be brave :) I've wanted one of these for ages so I was happy when my mum picked it out. I did want a fabric one but now i've wore this I AM IN LOVE.